​Schoolhouse Prep is committed to providing an environment where “every student can learn and achieve success”. This is a goal that School Leadership and staff work very hard to achieve each year. At the Wolfpack Achievement Awards, we recognize and honor that success. We acknowledge through these awards a commitment to excellence and student leadership. During the Ceremony, Honor students are inducted to the National Honor Society, Juniors are presented with their Senior Class Rings, and Athletes in their Senior Year are presented with the prestigious Letterman Jacket. 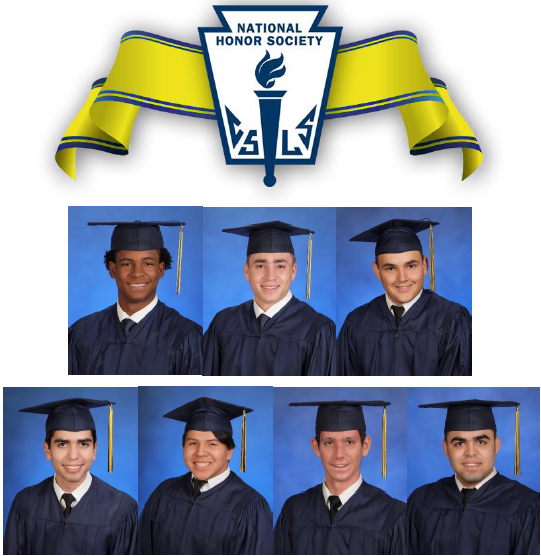 The National Honor Society (NHS) is the nation's premier organization established to recognize outstanding high school students across the United States. More than just an honor roll, NHS serves to recognize those students who have demonstrated excellence in the areas of scholarship, leadership, service, and character. The organization was established in 1921 and today has over one million members in high school chapters across the states. ​Membership in the Schoolhouse Preparatory chapter is an honor bestowed upon a student. Selection for membership is based on outstanding scholarship, moral character, leadership, and service. The council promotes a positive relationship between the student body and the administration, faculty, staff and school committee. We promote the Schoolhouse Preparatory philosophy and goals as set forth within the student handbook. Our daily news shows provides future Broadcast Journalists the opportunity to produce and edit a News Show in our Green Screen Studio. The show reports on sports, news, entertainment, and daily happenings in the school.Student Journalists can either work as Anchors, editors, producers, or on camera. ﻿Schoolhouse Preparatory is a proud member of FHSAA (Florida High School Athletic Association). Our athletic program provides all students the opportunity to build self-confidence and to experience the benefits that flow from physical exercise, teamwork, and competition. ​Schoolhouse Preparatory is a Proud Member of the Florida High School Athletic Association (FHSAA).